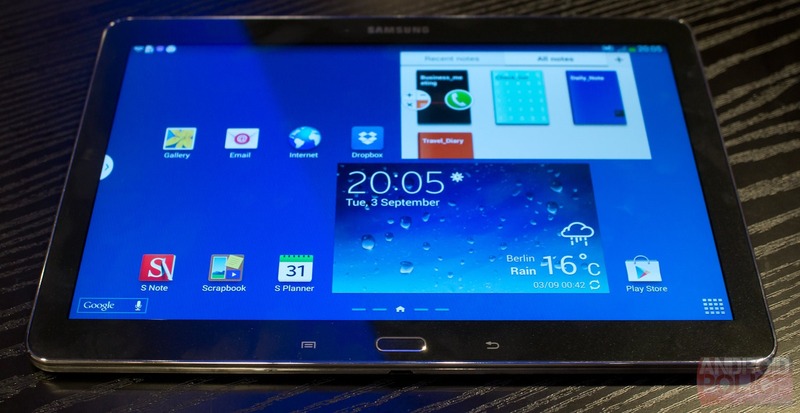 Besides the Galaxy Gear and Note 3, Samsung has made official a new "2014 edition" Note 10.1. 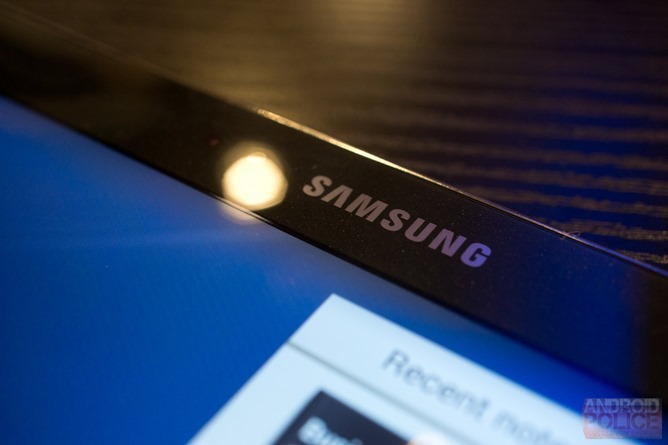 While, if its name is anything to go by, the 10.1 has long to go before release, Samsung gave us some early hands-on time with the tablet. First up, let's talk about what differentiates the Note 10.1 from its 5.7" counterpart the Note 3 and from its predecessor. The tablet is, like the Note 3, slightly trimmer than its predecessor, with clear spec enhancements that make the overall experience much better. Dimensions aren't the only thing new about the new Note 10.1's hardware though. 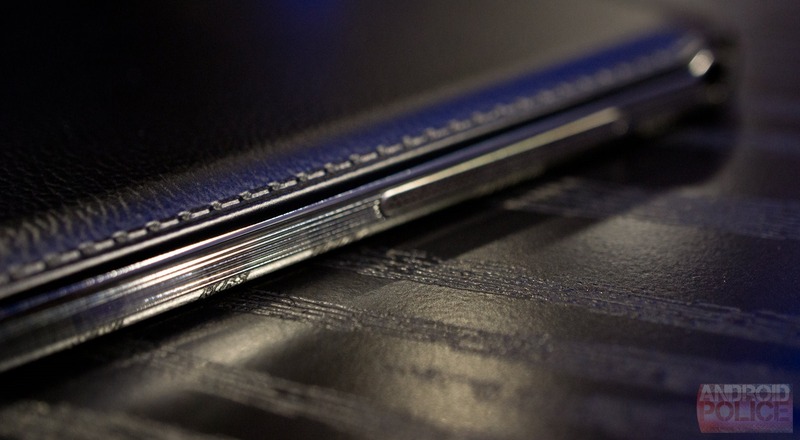 The Note 10.1 2014 Edition has a rather unsurprising design. Samsung is obviously dedicated to their design language, primarily the hardware home key and soft menu/back buttons centered at the bottom of the device. Further changing up the design from its predecessor, Samsung has moved the Note 10.1 speakers to the side of the band that runs along the device, rather than leaving them on the front. The difference in sound movement seems minimal, but many users enjoy having speakers directly on the front, and it can be a nice aesthetic element (as with the Nexus 10). Elsewhere, the Note 10.1 is much the same as the Note 3. Same leather texture back with fake stitching, same bands running around the outside, etc. The Note 10.1 is still using a micro USB port, unlike the USB 3.0 Micro B port on the Note 3. 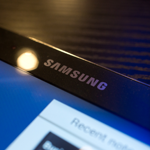 It should go without saying that what you're really looking at on the Note 10.1 is the display. 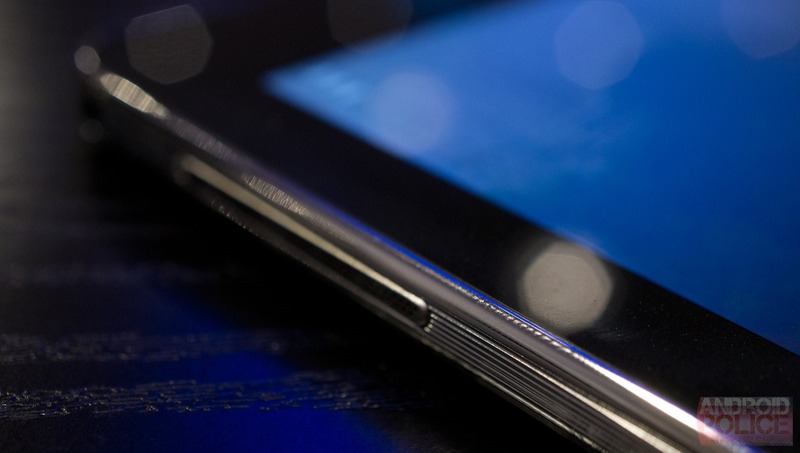 The 10.1" 2560x1600 display appears to be just like the one on the Nexus 10. It's crisp, bright, and super clear. It's my opinion that Samsung's TouchWiz UI doesn't necessarily show off the true clarity and detail of the display, but it was very evident using the tablet for only a few moments. 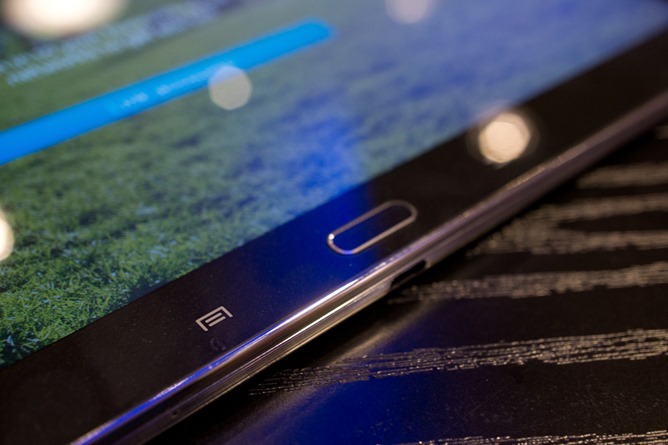 One of the biggest downfalls of the original Note 10.1 was its build quality. Shiny glossy plastic along with a creaky back and somewhat shaky feel didn't make for a great overall experience, but Samsung seems to have solidified the tablet since then. The whole devices feels quite solid and weighty for how big it is, and the leather texture (despite its "stitching") goes a long way toward making it feel like a better-made device than its predecessor. It's still plastic, but it's a much different feel. One of Samsung's big focuses with the launch of the new Note line is unification between devices in the family. They want to unify not only the hardware design but the overall user experience. This means a lot for software. Essentially, the software experience on the Note 3 is just the same on the Note 10.1, but on a much larger screen. The S Pen still makes use of all its new tricks in just the same way, and apps like Scrapbook and My Magazine are still there and still used in the same way. For a full look at all the new features, check out our post on the Note 3. The new Note 10.1 is definitely worth a second look. It improves on the original with a (much) better display, more S Pen functionality, and a more solid build quality. We don't have word on when it will be released just yet, but from the name we can guess sometime in early 2014.